The SB600/SB300 Softbox is the compact collapsible softbox for YONGNUO YN600L YN900/YN300 Series Led Panels.With the Softbox to creat a soft and natural light like the huge professional softbox.With the Magnetick Locks` design ,you can install or carry it very easy.4 Attachments Straps make it attached with the YN600/YN900/YN300 Series Light Panels.It is a Best choice buy with the YONGNUO LED LIGHTs togethers. Hope you could give honest feedback. 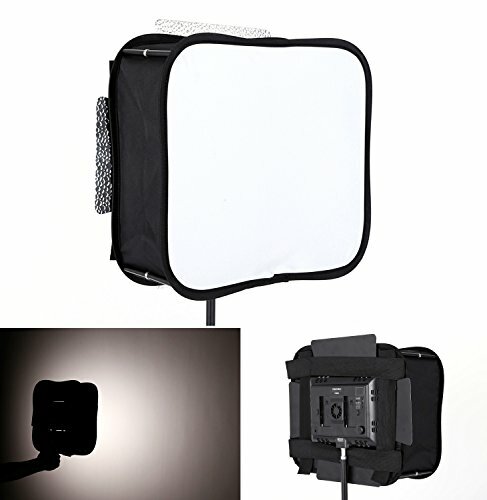 If you want the SB300 soft box, the ASIN is B01M72EOCK. If you have any questions about this product by Ulanzi, contact us by completing and submitting the form below. If you are looking for a specif part number, please include it with your message.